The spookiest holiday of the year is drawing closer and closer. Every day that passes is another one closer to Halloween, and while fewer people plan to celebrate it this year, it’s still a remarkably popular day overall. 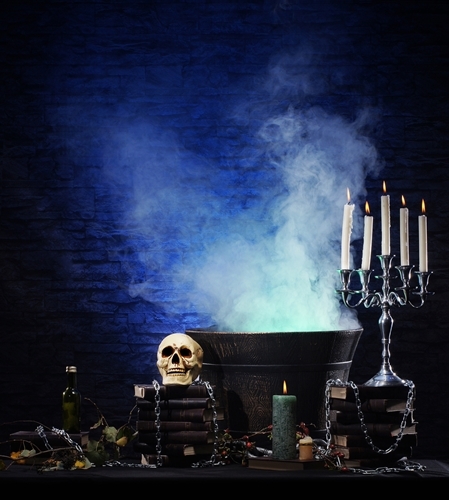 According to the National Retail Federation, “158 million consumers will participate in Halloween activities, slightly less than the survey high of 170 million people last year.” Matthew Shay, president and CEO of the NRF, believes that the slight decline isn’t any reason for businesses to worry. “Still one of the most beloved and anticipated consumer holidays, Halloween will be far from a bust this year. After a long summer, the arrival of fall will put millions of Americans in the spirit to partake in traditional and festive activities,” Shay said. What’s great about Halloween is that it lends itself well to marketing campaigns. Companies can easily include the holiday’s motifs and themes in a unique advertising initiative. The following is a look at how to achieve this exact objective. Perhaps the easiest way for business owners to capitalize on Halloween is to turn their establishments into haunted houses. This doesn’t mean that entrepreneurs have to contact ghosts and summon demons to scare customers, but that certainly wouldn’t be a bad touch if it was possible. A few decorations should be sufficient for creating a thoroughly spooking atmosphere. From paper vampires to cardboard mummies, there are numerous options that company leaders can use to make their enterprises spooky. Of course, a classic jack-o’-lantern is a necessity for any Halloween campaign. Business owners should take their time and carve an intricate design into a pumpkin to show consumers that the establishment is celebrating the scariest day of the year. As for the potential options, entrepreneurs can either use the standard face for their jack-o’-lanterns or try a unique design and carve a witch or werewolf. While those final options may be a bit difficult, they’d certainly stand out from the pumpkin competition. Trick-or-treating is probably the most beloved Halloween tradition. Kids enjoy walking from house to house and receiving free candy for their efforts. It really is a dream come true for children, even if they’re parents are doing their best to regulate the sugar intake. Unfortunately, it’s generally frowned upon for adults to trick-or-treat. After all, the sweet treats are meant for youths, not their mothers, fathers and guardians. As a result, some consumers might yearn for the days when they could throw on a costume and wander around until they were given some delightful snacks. This is a perfect opportunity that small business owners should capitalize on when planning promotional giveaways for Halloween. Instead of giving a small gift to every customer, company leaders can make their patrons dress up and trick-or-treat. For the treats, chocolate and other candy in branded tins are likely the best options. These small gifts will ensure that adult consumers feel like they’re reliving the Halloweens they used to have every year. For the tricks, small business owners can rely on traditional promotional marketing products. For instance, instead of a candy bar, someone could distribute promotional magnets. In lieu of gummy bears, an entrepreneur could hand out promotional key rings. The beneficial part of this strategy is that even the tricks are still advertisements that consumers will love. While they may be initially disappointed to receive a pen instead of chocolate, they’ll likely be glad that they have a writing utensil when they have to jot down some quick notes.